Yet according to fresh research undertaken by Sitecore and Avanade with Vanson Bourne, six in 10 companies are leaving revenue and sales opportunities on the table due to inefficient digital technology platforms and poor marketing/IT collaboration. Two-thirds of marketing leaders, for instance, believe their businesses’ understanding of customer experience, personalisation and data analytics is immature. Only 23 per cent have adopted personalisation technologies, and just one-third use customer journey technologies. What’s more, nine out of 10 know they should collaborate more than other departments on digital strategy projects. Yet fewer than half have a say in martech decisions. This exacerbates issues with disconnected systems and data sets and leaves marketers struggling to deliver seamless interactions with customers across channels, communications and the journey lifecycle. So what does it take to maximise the benefits of technology? 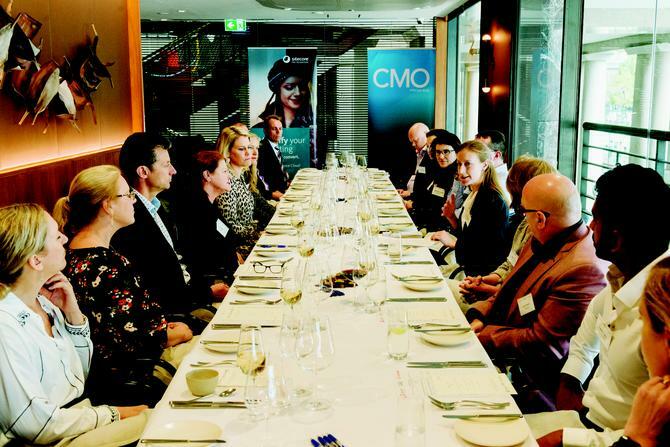 CMO partnered with Sitecore and Avanade on roundtables in Sydney and Melbourne bringing marketing leaders together to find out.You can also view all the images from our event here. Cerebral Palsy Alliance (CPA) is in the midst of significant business transformation as part of the rollout of the National Disability Insurance Scheme (NDIS). Its general manager of marketing and communications, Dyranda Hortle, said martech is not only impacted by new, more commercial KPIs but by what is shaping up to be a new service delivery model. “We’re trying to find the balance between investing enough to facilitate the transformation and support customer engagement, while ensuring we’re not missing fundamentals that might be needed in the next 24-36 months,” she said. Positioning martech to executives to secure support is like everything in marketing, Hortle said: It’s about return on investment. But balancing short and long-term thinking around martech and realising its potential has been complex, Hortle admitted. What has helped is work done around CX. This highlighted what will best deliver customer value and what enabling technology CPA needs to grow that. “For us, that’s getting some increased marketing automation and lead management,” Hortle said. Over at Getty Images, the focus is on implementing best practices in demand gen, then extending those across the organisation. Marketing director, Svetlana Zhukova, rated Getty a seven out of 10 for martech realisation. “When we started integrating our platforms closer, we found data quality was increasingly a problem,” she explained. At certain levels of existing data quality, it can simply be about intensive resource investment to clean up and consolidate data sources. “We are also integrating external data enrichment sources to make sure the information we have is actually useful to progress the business forward,” Zhukova said. Another issue has been internal expertise. Initially, Getty tried to upskill current teams to manage the process. “However, in the context of a complex global business, at some point you also need to hire externally for people who can bring best practice with them,” Zhukova said. "This is what Getty did for demand gen and marketing ops, alongside specialist consultants. The priority now is to ensure the teams work better together to realise the full potential of our stack." UTS director of marketing communications, John Chalmers, saw integrating digital technology and martech as a lesson in strategy, collaboration and culture. To ensure UTS’s culture meets its digital strategy and transformation needs, his team has focused hard on putting customer experience first. “We set about mapping our customer journey and collaborated with stakeholders from all over campus, socialising the resultant personas to great effect around the university,” Chalmers said. Toyota Financial services head of marketing, Tim Rich, said the ambition is to build a connected digital ecosystem of dealers, digital capability and head office. A challenge is lots of legacy systems, and finding more to fix than first scoped. “We’re taking a hop, skip and jump approach and we’re in the hop stage. There’s opex pressure and we don’t have infinite resources,” he said. Sitecore VP of sales, Kevin Hayes, said too many organisations spend a huge amount of time pondering technology decisions without factoring in people and processes. Another core element is mapping out processes. “Start with quick wins that boost conversion rates, while increasing wallet share or customer retention. This is the most effective way of proving the value of CX,” Hayes said. Bridging the gap between marketing and IT is vital to getting the most out of any martech stack and boosting CX. Yet according to Sitecore and Avanade’s research, 73 per cent of executives cite a lack of collaboration between marketing and IT, and 69 per cent lack CMO and CIO alignment. At CPA, the digital marketing team is working closely with IT sharing strategies and jointly discussing what the technology response might be. “What’s really helped us building the case for martech is IT’s experience with our very successful fundraising team who rely heavily on marketing automation to generate, nurture and manage fundraisers and donors,” Hortle said. CX project work saw CPA launch a series of Lean and Agile projects. These have proven key in lifting data quality, integration and utilisation. “Transitioning from systems used pre-NDIS has been the primary focus for our technology team and been the driver for big investments in the CRM platform and functionality,” Hortle added. At Getty Images, marketing depends on the tech team’s capacity to implement changes according to its roadmap. For Hayes, shared goals are vital to the marketing-IT partnership. In addition, it’s crucial martech and CX are seen as ongoing programs requiring continual investment. Sitecore’s tip is to “align and analyse” to ensure cross-functional stakeholders understand context-based marketing. Visualising how digital goals drive marketing and corporate strategic objectives is another must, while celebrating quick wins to build momentum as you develop a longer-term strategic roadmap is crucial in realising martech more effectively, Hayes said. Avanade digital client experience director, Louis Nonis, recommended starting with small targeted projects that easily demonstrate ROI. “Using Spotify [Squads] methodology facilitates great collaboration and target smaller projects for execution,” he said. Then it’s about analysing results to understand impact on strategic objectives. That helps build out the business case for further investment. When you get your martech stack in order, it pays CX dividends. Personalisation typically delivers a 19 per cent uplift in revenue and higher value leads. Forrester Research also shows 96 per cent of organisations using testing increase conversions of 1 per cent or more, while 77 per cent increase conversions of 6 per cent or more. And with the rise of AI and machine learning built into platforms, Nonis is predicting further marketing dividends. “Think of the hundreds of variables influencing customers when they make decisions. Now imagine having campaigns, landing pages or offers constantly optimised based on the last interaction they had with you,” he said.